If you’re working full time and running a small business on the side, you know how to multitask. Starting an ecommerce small business as a side hustle has its benefits. For starters, you have the means from your full time gig to fund your side business. And, if things were to go south, at least you’d still have your day job to pay the bills. That said, it’s no easy feat turning that side project into a full blown money maker. There are certain practices and software you can put into practice that will make the transition from sideprenuer to self-made money maker easier. Ecommerce inventory tracking software happens to be one of them. Yes, we are shamelessly plugging what we do, but we stand by it. 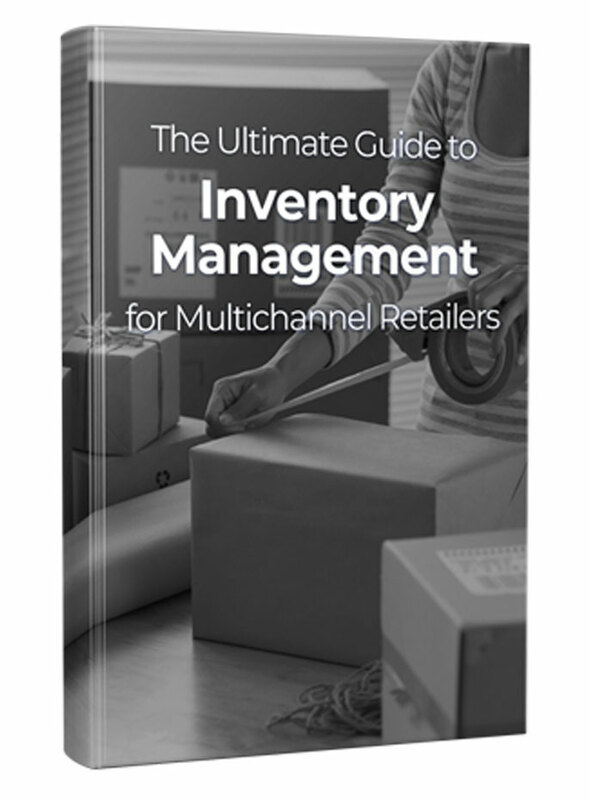 Multichannel inventory management will give you the time and money you need to grow. And we’ve got the numbers to prove it. Here’s how an inventory tracking system can help your turn your side gig into a full time show. It’s simple. The more places you list your products, the more you will sell. Think of new marketplaces as virtual “shelves.” If you have your products on one shelf, you’ll only see so many sales. If you get your products on 5 shelves, you now have 5 times the opportunity to make a sale. The more you sell, the more money you make. Better revenue brings you much closer to your end goal of being self-reliant. The problem with adding more sales channels? You need people to manually add listings, check for new sales orders and consolidate inventory levels everywhere you sell. Fortunately, inventory tracking tools do that for you. One ecomdash customer added new sales channels and saw sales increase by an estimated 40%. If you don’t have a website yet, you need to build one asap. A branded website will help you establish credibility and buyer trust (so long as it is well designed with great product photos). Unlike marketplace listings, which are carefully monitored for any policy infringement, you have free reign for how you’d like to describe and market your website listings. Want to do creative marketing? Now you can. Think it would be cool to bundle items, add bo-go’s or special promotions for products? No one can stop you. A website gives you the opportunity to build your brand and make a name for yourself. And just like with adding new marketplaces to your sales lineup, a website is another opportunity to get on a virtual shelf. Inventory tracking software will connect website sales and to your marketplace listings and consolidate all order information in one, central place. You won’t have to log in to each channel to check for new orders. One guy even ran his entire business from the Dominican Republic in just 10 minutes a day. One of the biggest struggles in turning a side gig into a full time business is simply finding the time to make it happen. It’s hard enough checking for new orders, updating inventory quantities and listing new products on your own. Add in the stress and commitment of working a 9-5 job simultaneously, and you barely have time to eat or sleep. An inventory tracking software is able to automate the back end processes of running an ecommerce business. It will automatically retrieve new sales order information, update inventory quantities and communicate orders to any suppliers or dropshippers you may work with. Nina of Talaria Enterprises said her staff was spending 75% of their day manually checking for stock levels before using ecomdash. As she puts it, ecomdash acts like a “24/7 employee,” allowing her actual human employees to focus their time and efforts on tasks that will drive growth, such as social media marketing, branding, image and publicity. With automated channel management, you can spend your extra 2 hours a day creating content for your website that will drive sales and engage new potential customers. Nina estimates they will double sales in the next 12-18 months. If you’re ready to turn your side hustle into a full blown tour de (ecommerce) force, sign up with ecomdash. Give us a try for 15 days and start saving time immediately!